I’ve been enjoying heading in to the RNZ studio now and again this year (here, here, here and here) to take part in Short Story Club, a weekly feature on Jesse Mulligan’s afternoon show. One of my stories, ‘Once had me’, has even been the story for discussion (not, obviously, a week I took part in the discussion; that would’ve been weird). The format for Short Story Club on RNZ is this: every Thursday after 3pm Jesse and a guest or two discuss a New Zealand short story, and read feedback from listeners. A link to the week’s story is posted online the week before, and listeners are encouraged to read the story and to send in their comments and thoughts. It’s great fun. The idea for Short Story Club came up, if I’m not mistaken, one afternoon when Jesse had frequent bookish guest and LitCrawl Queen Claire Mabey on the show, so it seems entirely fitting that this year’s LitCrawl Wellington programme features the first live on-stage outing of Short Story Club: Short Story Book Club Live! I’m delighted to be taking part with Elizabeth Heritage (champion of books and bookish things, reviewer with extraordinarily good taste, and human companion of a rat named Jacinda), and to get to meet Jesse IRL (rather than chatting down the line from the Wellington studio while he’s in Auckland). An exciting aspect is that for this LitCrawl session we’re asking people to submit their own short stories – preferably unpublished – for consideration for discussion. Submit your short story for consideration by Monday 30 October, to shortstory@litcrawl.co.nz. For story submission information: click here. Jesse Mulligan hosts Radio New Zealand’s Short Story Book Club … Live! Join Jesse along with Tracy Farr and Elizabeth Heritage to discuss stories shortlisted from submissions. Entry: Entry to crawl sessions is by donation, $5 suggested. Entry is first-in-best-dressed, so get there early to secure a seat. Details: Short Story Book Club Live! is one of eight concurrent sessions in Phase One of LitCrawl 2017. Browse (or download) the LitCrawl programme for details of this and all sessions. See the Facebook event listing for this session. There’s a collection on the RNZ website of all Short Story Club broadcasts to date on Jesse Mulligan’s afternoon show. LitCrawl Wellington 2017 runs from 10 to 12 November. The LitCrawl programme for 2017 is bigger and better than ever – take a look at LitCrawl Extended programme of ticketed events at City Gallery. 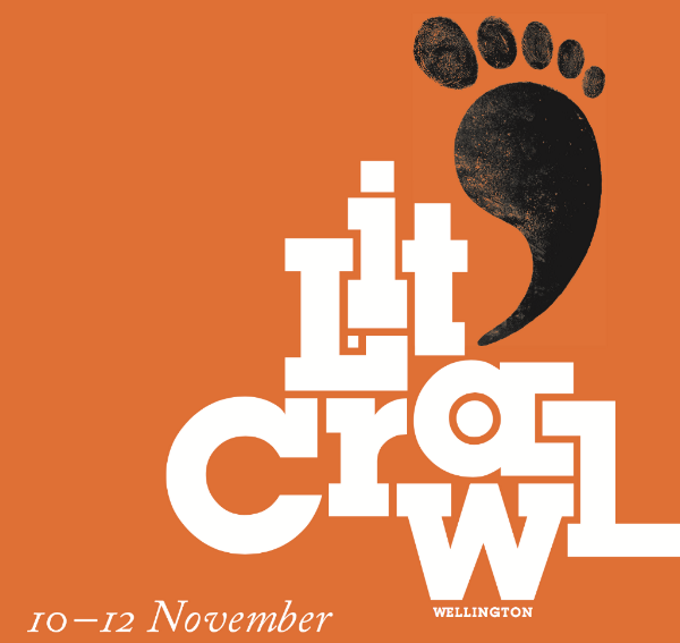 Special shout out: New Zealand Society of Authors Wellington Branch is sponsoring LitCrawl session 19. I’M MAKING A SIGN!, in which five writers read and discuss writing as protest and channeling their activism through the page. Hosted by Action Station’s Marianne Elliott, and featuring Jeffrey Paparoa Holman, Janis Freegard and Rachel Stewart. At Pegasus Books, 8.30–9.15pm (part of LitCrawl Phase Three). See the Facebook event listing for this session. If you’re keen, submit your short story for consideration by Monday 30 October to shortstory@litcrawl.co.nz. For story submission information, click here. Tracy Farr's debut novel, The Life and Loves of Lena Gaunt, is about love and loss. Her second novel is The Hope Fault; it's about family and faultlines.